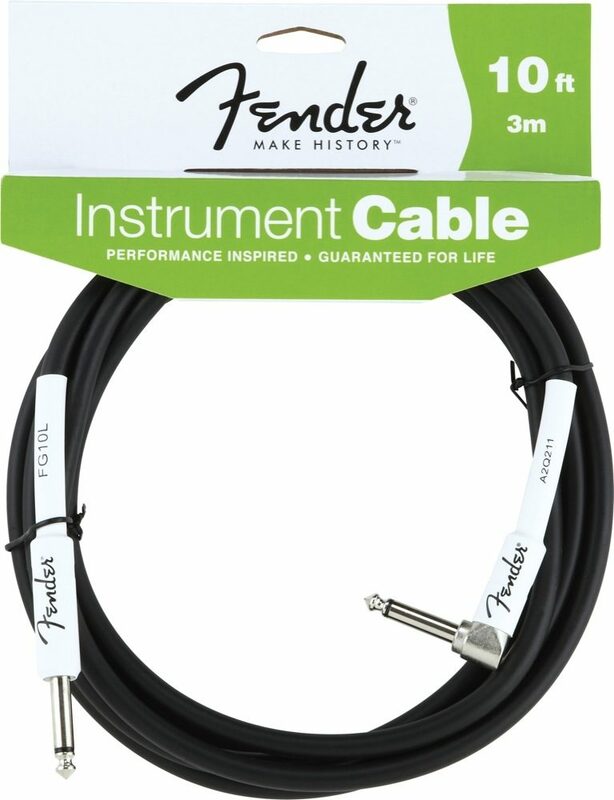 Fender guitar instrument cables (with angled ends) are designed specifically for live performance - engineered to avoid twisting, kinking, and having any "physical memory" and ultimately delivering the best sonic balance between your performance and your equipment. 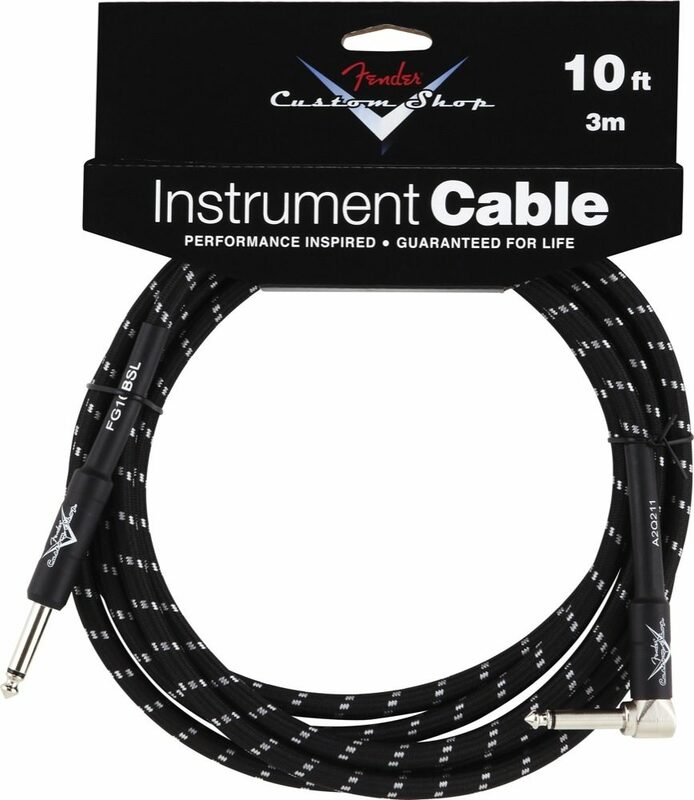 Backed by a lifetime warranty, Fender cables are an excellent choice for all your cable needs. "Great cord, worth the dough"
Overall: The cord is pretty sweet. You can't get too excited over it, but just like everything else Fender makes it's pretty awesome. I play all Fender gear (Blues Deluxe, American Strat) so it was a must. I got tweed to match my amp so it looks pretty cool, and im sure the black would look nice with most amps. The tweed is legit and i doubt much of anything could damage the actual cord. I hear no static whatsoever when using it by itself and it just feels like it's good quality. 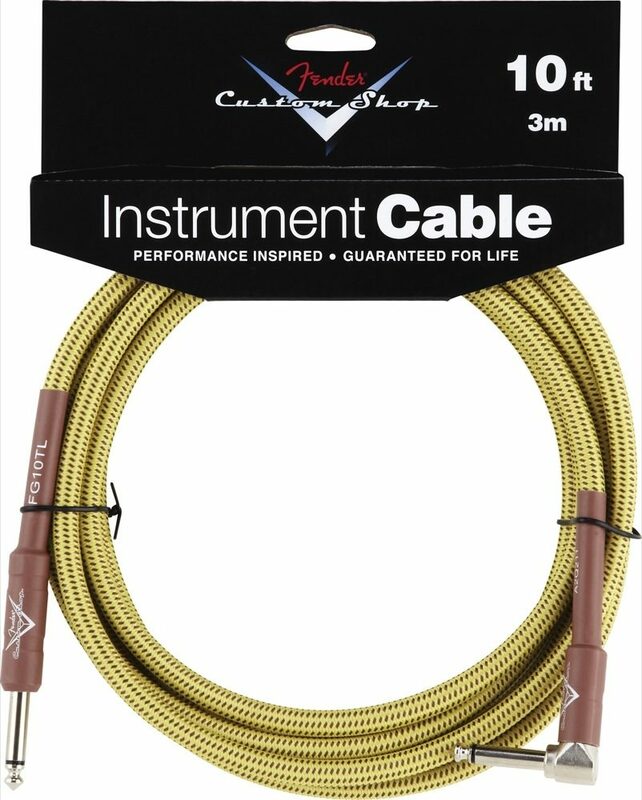 I can't really properly rate a few categories because it's just a cable, but hey overall 10/10. Style of Music: CLASSIC ROCK!